The dancer Flavia Cacace, who found fame through the British hit television show, Strictly Come Dancing, was born on this day in 1980 in Naples. She and professional partner Vincent Simone, who is from Puglia, performed on the show for seven seasons from 2006 to 2012. The show, which has been mimicked in more than 50 countries across the world, including Italy and the United States, pairs celebrities with professional dancers, combining Latin and ballroom dances in a competition lasting several months. Cacace, who was runner-up in 2007 with British actor Matt d'Angelo, left the show as champion in 2012 after she and the British Olympic gymnast Louis Smith won the final, which was watched by an estimated 13.35 million viewers. The youngest of six children, Cacace moved to England shortly before her fifth birthday when her father, Roberto, a chef, decided to look for work opportunities in London. 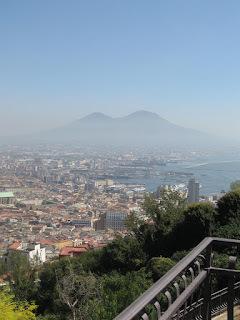 Her family are from the Vomero district of Naples, a smart neighbourhood that occupies an elevated position on a hill overlooking the city, offering spectacular views. Although more than 30 years have passed since she left the area, Cacace has been quoted as saying that she still considers herself Neapolitan. Cacace attended the St Peter's Roman Catholic School in the town of Guildford in Surrey, about 43km (27 miles) south-west of central London. She was introduced to dancing at the age of six when her mother, Rosaria, keen to find her an activity outside school, took her and her eldest sister to Hurley's dance school in Guildford, unaware that it had a reputation for Latin and ballroom tuition that attracted dancers from around the world. Her talent shone through and she began to win medals at an early age. It was at Hurley's, at the age of 14, that she met Simone, who had arrived in the UK at the age of 17 and was looking for a partner. The two formed a professional relationship and won a string of titles together, including numerous UK Ballroom, Ten-dance and Showdance championships. They have been UK Argentine Tango champions and world Argentine Tango Showdance champions. The Argentine Tango became their trademark and for several years they have been on tour with a series of glitzy stage productions, including Midnight Tango and Dance 'Til Dawn, both of which were sell-outs. They announced last year, however, that their 2016 tour The Last Tango, would mark the end of their career on the road. Their professional partnership turned into a romance for several years before they went different ways after Cacace began a relationship with Strictly partner D'Angelo. Simone is now married with two children, having met his future wife, Susan, in the bar after a show during the 2007 Strictly series, when she had been in the audience as a fan. 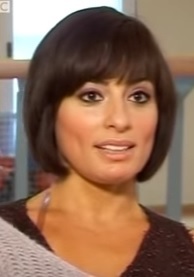 Cacace is married to Jimi Mistry, a Yorkshire-born actor who was her celebrity partner in the 2010 series of Strictly. They were married in London in 2013 and live in Jacobs Well, a village just outside Guildford. She has been approached several times about appearing on the Italian version of Strictly - entitled Ballando con le Stelle (Dancing with the Stars) - but has been unable so far to take up any offers. Ballando is currently in its 12th series on the Rai Uno channel. Vomero is a middle class largely residential area of central Naples but has a number of buildings of historic significance. The most dominant, on top of Vomero Hill, is the large medieval fortress, Castel Sant'Elmo, which stands guard over the city. 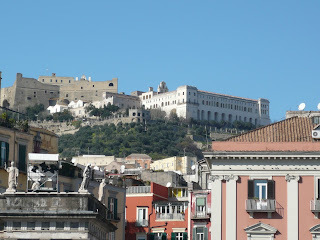 In front of the fortress is the Certosa San Martino, the former Carthusian monastery, now a museum. Walk along the adjoining street, Largo San Martino, to enjoy extraordinary views over the city towards Vesuvius. Vomero's other tourist attraction is the Villa Floridiana, once the home of Ferdinand I, the Bourbon King of the Two Sicilies. Surrounded by extensive gardens, the building now houses the Duke of Martina National Museum of Ceramics. Foggia, where Vincent Simone was born, is a largely modern city, much of it rebuilt following heavy bombardment during the Second World War. Nonetheless, there are some attractive features, including the 12th-century Cathedral of Santa Maria Icona Vetere, off Piazza del Lago. The present campanile replaced the one destroyed in a major earthquake in 1731. 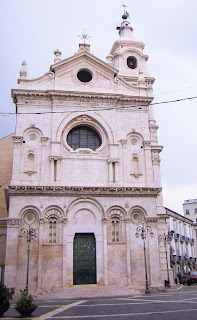 The opera composer Umberto Giordano, born in Foggia, is commemorated with a theatre that bears his name and a square, Piazza Umberto Giordano, that contains several statues representing his most famous works.